Sally Smith is the Adviser for Faith Based Organizations in the Community Mobilization division of UNAIDS based in a department of Rights, Gender and Community mobilization in Geneva. She is responsible for UNAIDS liaison with faith based groups and religions. She has experience working with NGOs and FBOs engaged in the AIDS response including Buddhist, Christian, Hindu and Islamic groups. She has worked for UNAIDS for nine years in the Civil Society Partnership unit and the Global Coalition on Women and AIDS. 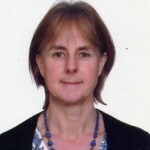 Actively engaged with faith based communities for many years, Sally moved to Geneva at the end of 1999 following 16 years working in Nepal for the United Mission to Nepal (UMN) in primary health care, community health and development.